Metal barbed wire fence containing 10 straight barbed wires (5 for each side of the fence) and 1 spiral barbed wire. Each straight wire contains about 20 barbs. The spiral contains 10 turns, each turn containing 9 barbs. The fence contains 11 sections high and 22 sections wide. 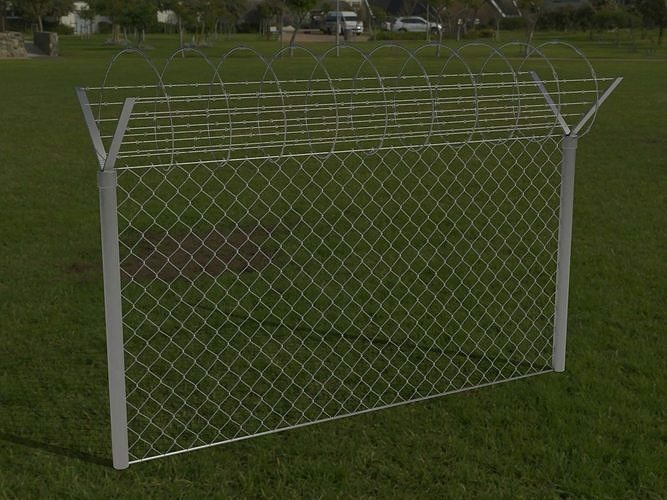 The .blend file contains the array modifiers to change the fence size and to repeat it along the desired length.